Huntington City Council adopted an ordinance Monday, Nov. 9 allocating additional user fee funds from the $2 a week increase that was approved earlier this fall. 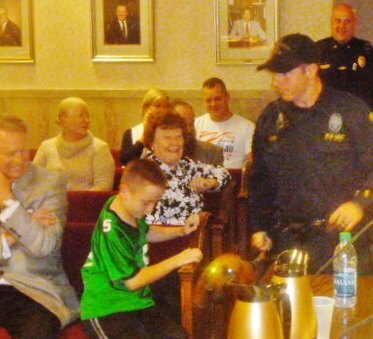 In addition, the Huntington Police Department brought three of its K-9's to the meeting. A demonstration of drug detection abilities was conducted. HPD is currently raising funds for the purchase of an additional dog to replace one that is retiring. The service fee increase is projected to generate an additional $2.2 million in revenue this fiscal year. As outlined in the ordinance, $1 million will be designated for capital improvement projects such as hill slides and bridge repairs, $600,000 will be designated for street paving (bringing the total paving budget to $1.6 million) and $600,000 will be designated to the Police Department for hiring additional officers and equipment. Mark Bates, council finance chairman, stated at the meeting that "the ordinance provides somewhat of a lock box on special capital improvement projects, such as slips and slides." Council chairwoman Sandra Clements explained that "line items will be added to the budget," which will ensure greater transparency of user fee funds. The allocation passed unanimously with Scott Caserta absent due to the death of his father. Council also approved without dissent, acceptance of grant monies that will a case manager and an adult drug court probation officer through a grant to the Mayor's Office of Drug Control Policy. The office's director, Jim Johnson, explained the program is the first in the State of West Virginia and will likely be a model for the U.S. No cost will be incurred by the city. Council member Joyce Clark praised the achievement indicating that the Office of Drug Control Policy has been "bringing home the bacon" (referring to grants), which is a phrase once utilized by the late WV Senator Robert C. Byrd. Four first readings were heard by council, including an intergovernmental memorandum of understanding with the West Virginia Department of Transportation. Mayor Williams explained this funds a preliminary design and environmental impact study on replacement or repair of the Eighth Street Bridge, which currently has severe weight restrictions. Since the state has responsibility for replacing the Fifth Street bridge, during its closure traffic "has to be diverted" to Eighth Street. The study will be competed at no cost to the city. Other first readings would approve a mostly insurance financed replacement K-9 vehicle for one wrecked in July on I-64; a revised zoning code that incorporates redevelopment in residential neighborhoods for schools, churches and community structures; and updating of the ordinance related to the Huntington Police Reserve Unit. 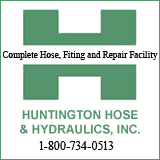 Council passed a resolution approving a $64,530 homeland security grant for rope and rescue equipment for the Huntington fire department. Councilman Gary Bunn told those gathered that the department of development and planning staff will be working on an ordinance that conforms city council districts to population standards mandated by the West Virginia Supreme Court. Finally, the images show the honoring of Fifth Grade winners in an essay contest and the owners of Tic Toc Tire.